Not sure if spring is truly here yet in Calgary but it is April and it’s a time of the year when lots of homes like to have a good spring cleaning done. Spring is such a wonderful season, birds are finally out chirping, the sun starts to feel warmer and the snow begins to be a distant memory (sometimes). Even if doesn’t fully feel like spring yet in Calgary, it’s still time to start tackling your spring cleaning list. It’s a great time to get your home ready for the summer season and make your home a happy, clean and organized space. Below is detailed list to help you with spring cleaning your home. Remove light fixtures and clean them, replace light bulbs if needed. Remove paintings and pictures from wall and give them a good wipe down. Remove floor vents to wash (the dishwasher is the best place, I find) or replace them. Have your mattress professionally cleaned (it will prolong the life of your mattress tremendously), or sprinkle some baking soda on it and then vacuum up. Clean any upholstered chairs, curtains etc. This all seems like a lot of work but if you can divide it up between a few weekends or set aside a chunk of time, it will feel great to have it all done. Or you can call a cleaning company and have them give you quote. 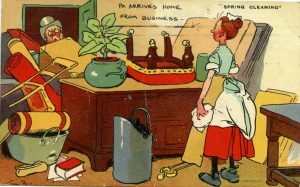 spring cleaning your house in Calgary. 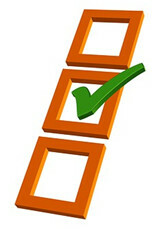 big clean, Calgary, Home cleaning, house cleaning, residential cleaning, spring cleaning, spring cleanning checklist. Bookmark.